Parma, May 22-24 2018 – just a few weeks left to the beginning of SPS Italy 2018 and ESA Automation’s participation to the event. This year’s focus: automation and digital solutions for industry. A theme perfectly in line with our philosophy and the products that we have developed for Industry 4.0. At its eighth edition, once again SPS IPC Drives Italy does not disappoint for the richness and attractiveness of its scheduled events. With the participation of the main suppliers and producers in industrial automation, the fair will highlight the latest market trends and the most relevant issues in this sector. ESA Automation will be at SPS Italy 2018 for the entire duration of the event. Among the first platforms to talk about Industry 4.0 in Italy, the fair is the ideal stage for sharing a reality like ours and the values that have always distinguished us. As anticipated during the two round tables that preceded SPS IPC Drives Italy, in fact, we will talk about our solutions and those features that make them ideal for a smart manufacturing environment. Even more so this year, as the theme of SPS Italy 2018 is digital automation. From our Cloud service to Everyware remote assistance and cyber security platform, ESA Automation offers a wide range of last generation products, designed to promote company digitization. 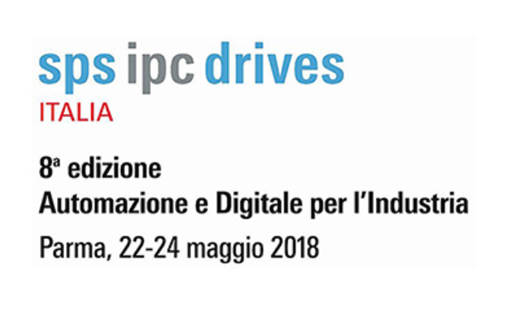 SPS Italia 2018 will be from the 22nd to 24th of May in Parma, with six pavilions dedicated to automation and digital solutions for Industry 4.0. Between IoT and cyber security solutions, mechatronics products, CNC robotics systems, big data and artificial intelligence, we anticipate a really interesting experience. Morning – Innovative industrial automation by vocation: the challenges of the future for man and technology. Afternoon – Scientific analysis: “Artificial intelligence: vision and connectivity for the Digital Transformation”. Morning – Robot & Co: collaboration in Industry 4.0. Afternoon – Scientific analysis: “The challenges of automation: efficiency and flexibility”. Do you need more information about the event? Download SPS Italy 2018 brochure and keep following us to be constantly updated.